Yamaha’s new DXR range offers various combinations of active mids/tops and subwoofers that can be assembled into a PA system for small to medium gigs. So you’re looking at DJ PA systems. Maybe you read part one of this two-part series, Small PA System Vs Monitor Speakers For DJing. Or maybe you’ve been asked to play some parties, or got a paid-for DJ booking. 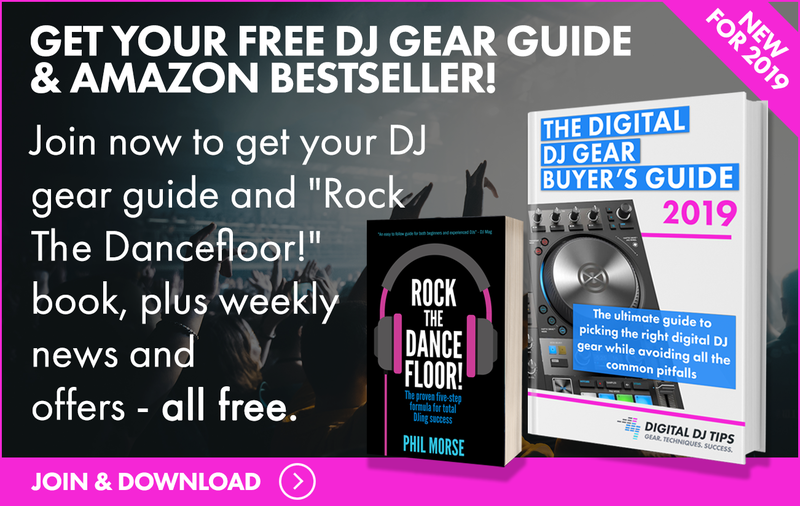 Whatever the reason, if you’ve decided it’s time to upgrade your gear with a DJ PA system but you’re not sure where to start, in this article we’re going to arm you with all you need to make an informed choice. Small PA systems come in all shapes and sizes. Karaoke type systems. Outdoor-style all-in-one system. 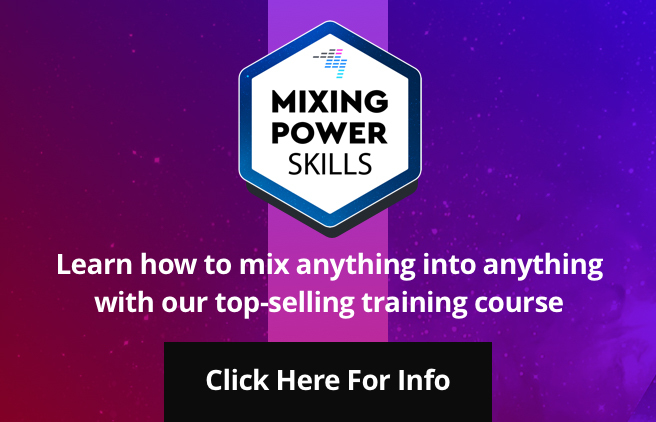 Complex systems with equalisers and mixers built-in. For general DJing purposes, though, we’re going to make some assumptions that’ll help narrow down the field. We’re going to assume that you want to play to 50 to 200 people, with maybe 100-150 as the average. We’re going to assume you’ll be running your DJ controller right into your PA, and any microphone use will also go through your DJ controller (or a small external mixer along with the output of your DJ controller), so you won’t need loads of inputs on the PA. And we’re going to assume you want something reasonably portable, that you can maybe even use in your practice studio instead of monitor speakers. In short, we’re looking for versatile, reliable, good sounding and smallish. 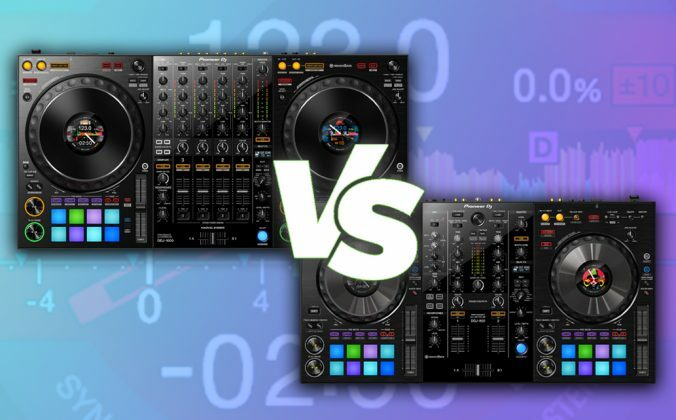 Oh, and of course cost is an issue – you’re going to want to know what the top whack brands for DJ PA systems are, but also what mid-range systems may also do the job and save you some money (cheap is always a mistake, we’re not going to go there). But first, let’s get to know the various options and parts of PA systems a little better. Active systems have the advantage of the amps being matched perfectly to the speakers, of being less complex, and being easier to set up as well as carry. You don’t need to worry about things like active vs passive crossovers, bi-amping and all that stuff either. The disadvantage, though, is reduced flexibility. Generally, we’d recommend you go for powered/active speakers. A subwoofer is a big, usually floor-standing speaker, that is designed to handle very low frequencies. While the “main” speakers are always sold as being up to this task, if you are playing to more than 150 people or if you are a bass lover (ie pretty much everyone reading this), you’re going to want a subwoofer. That’s why they’re pretty much a given for most DJ PA systems. Typically, one subwoofer on its own is enough – bass is not very directional, so whether or not you need two is more dependent on how many people come to your parties than filling more of the room. As a rule, if you feel your small PA system is struggling, add a subwoofer to it rather than getting a bigger PA – it could be all you need to fix things. For 100 people parties, you may get away with 10″ drivers (that’s the size of the biggest of the two speakers each cabinet will typically contain), but 12″ or even 15″ would be better for 150 to 200 people. These will simply be louder. 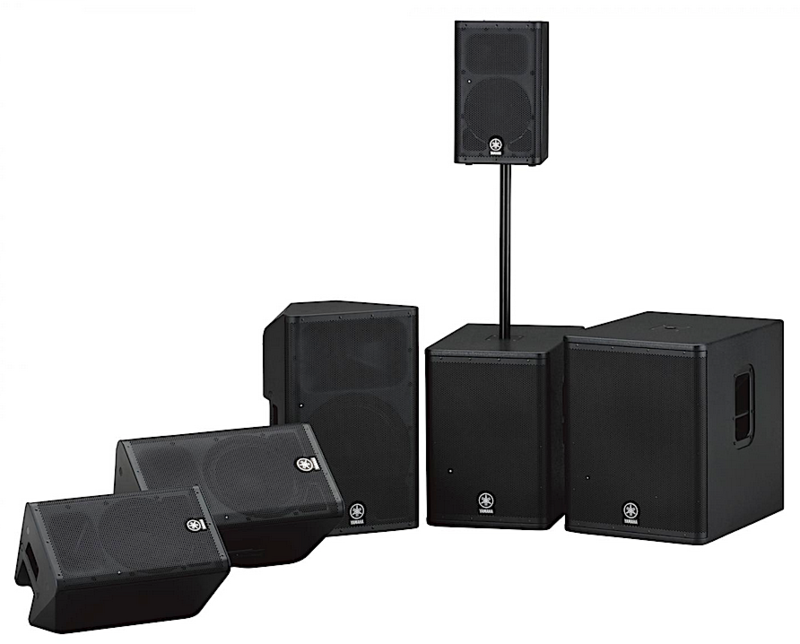 From 250 up to 500 watt power or higher is about right (per speaker), although some all-in-one systems that we like deliver less; these are best for home and family party use. As far as the subwoofer goes, 12″ as a minimum for small events, but 15″ or 18″ is about right for size, and subwoofers should deliver at least as much power as your main speakers, and preferably more. Bass gets “soaked up” easily by roomfuls of people. There are two types of connectors: Balanced and unbalanced. 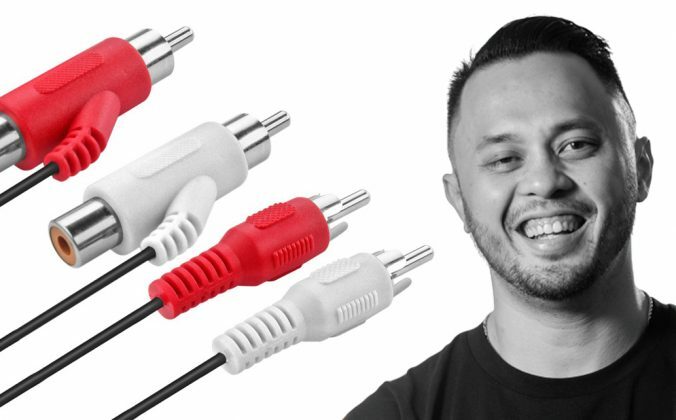 Unbalanced are always RCA-type: similar to the red/white leads and sockets you’ll have on your DJ controller. They’re fine for short distances. As soon as you want to use longer leads (say over 20ft), balanced are best, and that’s what I’d recommend you use to connect your controller and PA system – they are less prone to interference. 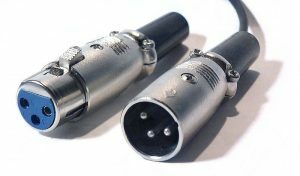 A balanced XLR lead. These are typically what you’ll use to get from your PA from your controller, although TRS balanced leads are also common. They come in three types: Speakon, XLR, and TRS. Which you use doesn’t really matter, and will be dictated by what type of output you have on the back of your DJ controller (it’ll be TRS or XLR), and of course what type of inputs your powered speakers or amp have. If your DJ controller doesn’t have balanced outputs at all, you can get away with RCA assuming your PA has RCA ins: I use it on our cheapo party PA all the time. But just be aware that if you’re using longer leads, interference is more likely. Balanced is always best for PA connections. By the way, when it comes to wiring subwoofers or extra speakers in, most speakers some kind of “loop thru” system. That is how you can plug three (or more) speakers into the two outputs from your DJ controller. It’s important to budget for decent speaker stands too. You don’t need them for the subwoofer, but you do for the two main speakers. Stands have multiple advantages. As well as getting your speakers up out of harm’s way (ie nobody can put their drinks on them), stands let you position them at head height, and point them exactly where you want (usually at the dancefloor). This increases the effectiveness of the speakers, meaning you get louder, better sound for the same speaker than if you tried to position them on chairs, tables or worse, on the floor. Obviously the most important thing with stands is safety, as you don’t want them toppling onto your crowd, but also bear in mind how small they fold up (and how easy they are to assemble), and how much they weigh. Generally, your two main speakers and your subwoofer will be separate – their own power, their own built-in amplifiers, and so on. 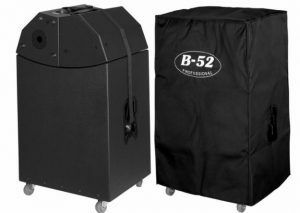 The Matrix B52 1000V2 all-in-one small PA system packs down into its own small bag, complete with wheels. While they will be designed so you can incorporate the subwoofer without needing a separate output for it (see above), and the manufacturer will suggest matches across their range for audio compatibility, that’s about as far as integration goes. They will also be sold singly. But there are DJ PA systems that are more integrated. In these, all of the amplification is done in one speaker, and the others are merely slave speakers that feed from the master unit. These can be light, portable and good value for money, but bear in mind the lack of flexibility – for instance, for very small gigs where otherwise you may choose not to take your sub-woofer, you’re stuck with it. These systems generally are aimed at filling smaller rooms, too, and bear in mind that if you’re planning on using your PA at home as well, such a system may be a more practical choice. A good example of the all-in-one style would be the Matrix B52 1000V2 (above), which is the kind of system that can handle 50-100 people OK and is easy to cart around. Moving up to DJ PA systems that can handle around 150 people, you’d be looking at mid-range brands like Behringer (Eurolive series, try the B212D or B215D speakers with B1800D subwoofer), Wharfedale Pro (look at the Titan range), and brands like Alto and Peavey too. Pricer brands include Mackie (the near-legendary SRM450s, or the Thump series), QSC (K series, of which we’ve heard good things about the K12 speakers and Ksub subwoofer), JBL EONs (515XT /518S) and systems from HK Audio, Yamaha and Electro-voice. It really isn’t worth buying dirt-cheap unheard of brands, as you really do get what you pay for with speakers. If you can’t afford a good mid or top brand, why not look at second-hand instead? This is nearly always the more sensible route. We hope to carry a number of PA reviews over the coming months, but if you’ve got a PA you’re happy with and you care to share in the comments, I am sure it’ll be useful to readers looking to buy their first system. So – do you own a PA system? Did you struggle to choose it? How does it perform, and are you happy with it or do you wish you’d chosen differently? Please feel free to tell us what you’ve got and how you rate it in the comments below. Very useful article thanks Phil. I am after a system for exactly this purpose / number of people. 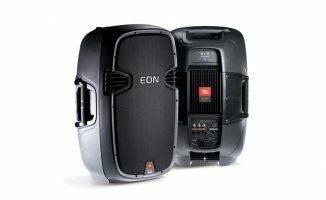 JBL EON 210p system looks super portable but given the requirements you talk about (and the fact you mention the bigger ones) I’m thinking it is too small? Good article. I especially agree with the bit about buying quality speakers. The speaker is potentially the weakest link in the audio quality chain and trying to get a decent sound out of a flimsy cabinet is doomed. Buy the products of companies that specialise in speakers, not the DJ electronics companies that just badge-up generic rubbish. They may be a bit cheaper, but their value for money can be atrocious. How about you add in another article the setup process (room equalization, feedback kills, delay compensation)? Most of the times I’ve experienced a PA system outside a club, nobody had done anything about these processes. I can do that for you, but if you want to EQ the room, you’ll need at least a 24 (but preferrably a 31) band graphic EQ in line with the Line-Ins, typically you’ll need one for each channel, (so 2, left and right). I also recommend a flat mic, a pink noise generator and a real time graphic EQ for your computer. Thanks for the info. I’m doing that already with a DBX 2231 eq + an Alesis 3630 compressor as a master limiter. However, I still find it difficult to prepare everything while in an empty room. When the place is packed, the sound is altered dramatically (obviously), so it renders all adjustments obsolete. You got any tips for that? One big thing of note, it is best to have more tops if you are accommodating more than 200 people or a larger room than trying to crank the volume up. You’ll end up getting distortion or blowing the speakers or worst frying the amp. This is for powered systems that posh 500 watts or less. A sub with built in crossover helps tremendously. 1. They are ugly this is an important point in the corporate scene and weddings. 2. The bass response is good but not as good as the HK LINEAR 112 FA i’ve done this test. you use a sub for bigger performances. Didnt see void on the list so taught id comment. I use a void basys system. They aint cheap but cant recommend it enough for anyone looking to purchase a decent system. Its got a great punchy sound that isnt compromised when you blast it. The sound fills the room nicely without the people at the front being deafend. Has not let me down even in a large 300 cap ball room. worth looking at and no i dont work for void just a fan of their gear. My advice is to buy quality over quantity. 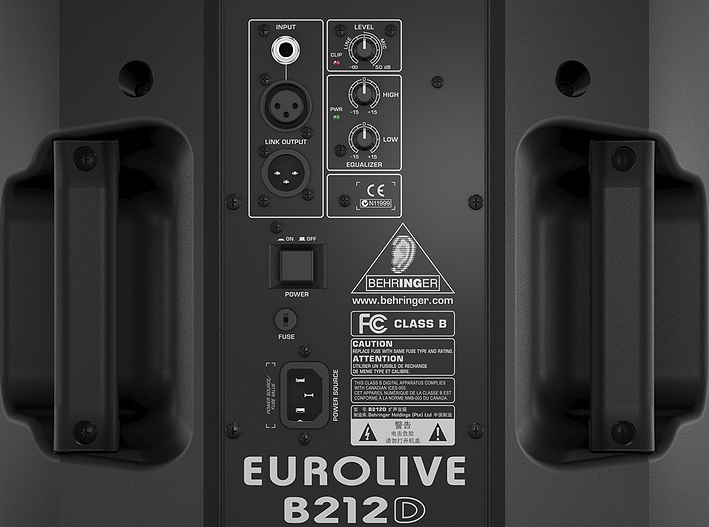 A single EV Live X will have more (and much cleaner) output than a pair of Mackie Thumps… for the same price. 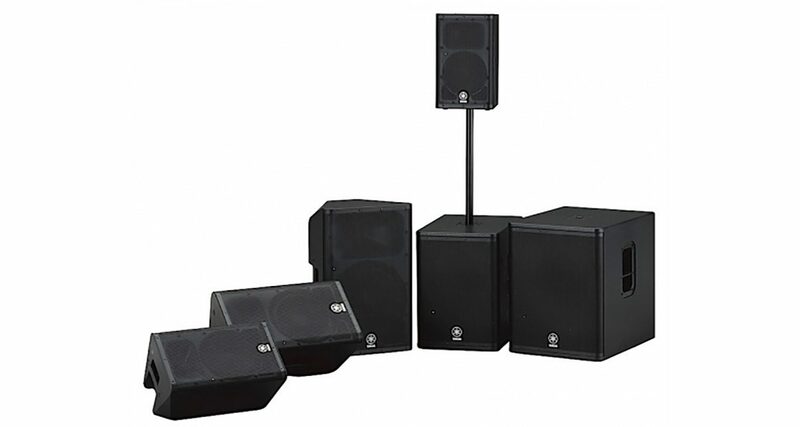 You can always buy additional speakers down the road if your events get larger. But in the beginning, buy the BEST you can afford, not the MOST. 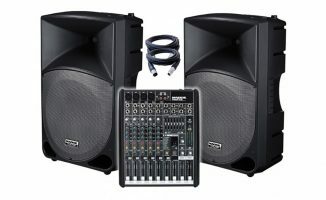 I just bought a 4 channel PA system from guitar center. It is the Harbinger HA120. It comes with a 4 channel mixer and two 12 inch speaker cabinets. Great sound and was only $300. I may want to add a subwoofer just to get more bass but this system did provide a decent amount of bass for the house party I did. Those are more geared towards bands and such due to the fact that it’s got a multichannel mixer built in and the sound is mono. If you’re happy with it, that’s great. I just know I had looked at them initially and quickly decided the money was better put towards a better system. I ended up with a pair of RCF ART315As. There’s a huge price difference, but sound quality is important to me. Thank you for publishing this article. 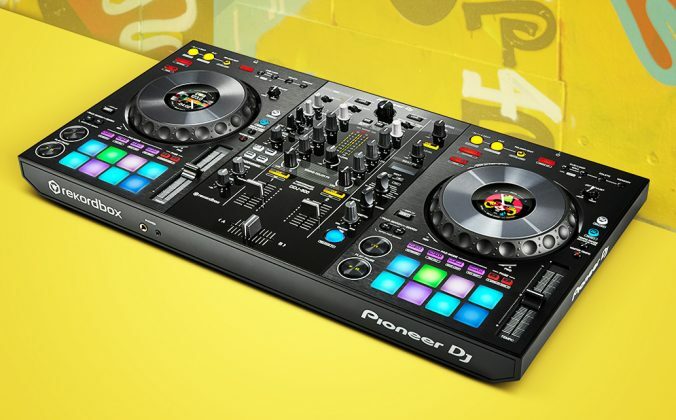 I have always felt that all the DJ blogs terminate the audio again at the controller or the mixers. We need more articles talking about EQ, amplifiers, speakers, mix board………Am looking forward to the follow up articles. I run 3 Wharfedale Pro Titan 12D’s and a Titan 15A sub. One 12D as a monitor and the other two facing the crowd. From the controller or mixer I use RCA’s then daisy chain the rest via 20meter XLR cables. The sound is solid and balanced. Connects in minutes. Also fits easily in the car with the back seat down. 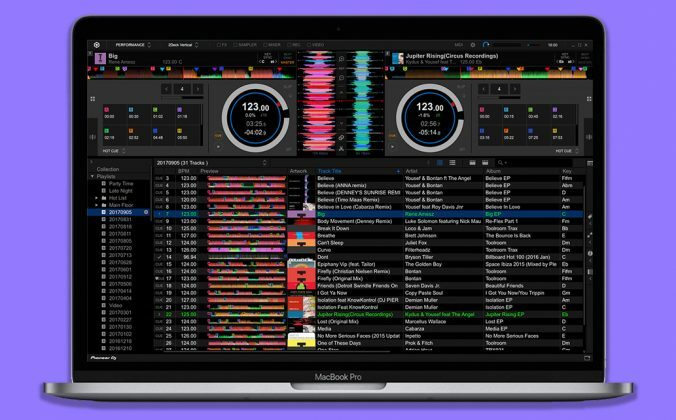 I play in a high end bar and use a Traktor S2 I bought a Mackie Thump 15a to act as a monitor and give a bit more oomph around the DJ box. Couldn’t be happier, sounds great without having to push it very hard. It wasn’t too expensive and I can use it to practice at home with. As an aside, I got the Technics 1200s out a hooked up my mixer to my new speaker and wow, sounded amazing. Mackie Thump as a monitor – nice! However i do recommend this: don’t go out and buy two massive 18″ subs for small parties. You may think that you can just ‘turn them down’ but most 18″ speakers require a lot of power to have the heavy speaker cone working efficiently, it will not sound the same as two 12″ subs working harder. I also reccomend the brand Audioline. I have two passive 15″ top/mids. Inexpensive for the quality which you get out of these, amazing titanium tweeters. Also if you can look past the ‘fashionable name’ aspect and do blind tests you might probably be surprised by how good and solid some of the newer behringer ranges actually are. Especially since they aquired Midas Klark Teknik and Turbosound! Ps good call Kebzer – youll be amazed how much difference a bit of carefully thought out speaker placement or proper eq can make (or how badly done can make even top end equipment sound off). Thanks for the reference Mike! Indeed, I always notice that people leave out of the equation speaker positioning/room EQing. I am not that accustomed with PA, but I got enough studio / mixing experience and I can tell that amp power/size of speakers means nothing. Literally. This is commercial stuff for pushing units, not for choosing them. We def’ need more articles on the sonic side of things. And we need that from professionals like Phil! Awesome article! I’m so happy I found this site. I am a relatively new DJ and got my setup together with a Pioneer DJM-T1 and two Technic 1200m3d’s. Next up is to purchase exactly what this article and these comments discuss! My polk audio Monitor series home theater works well enough in the living room but obviously doesn’t have the specs to take it anywhere. Can anyone who is willing to help email me or friend me on Facebook so I can find the best PA system for my needs? Thanks 🙂 and keep up the good work!!! Yes! I agree completely, underpowered amps are more of an issue for speakers than overpowered amps. 2″ JBL drivers for 2012? Where??? All I see are 1.5″ and nothing new in powered portable speakers so what are you talking about? So I plan on getting an 18″ sub and have a pair of 12″ and 15″ speakers which speakers should I use? Another point to consider before purchasing a sub woofer for sound re-enforcement is to look at another set of speakers. I have a pair of JBL EON 515XT speakers. I looked at getting the sub woofer for these speakers, but then also looked at the option of getting another two JBL 515XT speakers. This is a cheaper option, gives you more redundancy and allows you to spread out your speakers for outdoor PA functions. Yes, but there is no substitute for a proper subwoofer. Not matter how many tops you have, you can’t re-create the low frequencies the way a sub can. Totally agree about the sound quality. Problem I see is that many of my friends have the subwoofer and never use it except for larger functions. Many venue’s also complain about the sound that travels. The other point I mentioned is cost and being on a limited budget. By two more speakers or get the subwoofer? The other alternative if I had to start over again is go for much smaller speakers (10″or12″) and a sub. Regarding your question, I find if a venue has a PA that can “fill in ” areas (ie seating areas, outdoors etc.) then it’s great to use it too, at a lower volume. +1 this. I converted to QSC last year (2 k10s and and a Ksub) and it was the best thing I ever did. They sound great with out a lot of fiddling…and they are loud! I rarely have the gain on the speakers higher than 50%, and I still have staff asking me to turn it down, I haven’t yet found a room that they won’t fill, Including a 200″ pole barn with about 200+ people. One thing I like about the QSCs is they sound good no matter what the volume level from barely audible to wide open. Uhmm underpowered amps distort and THAT distortion blows speakers. Overpowering speakers with more power than they can handle is another way of blowing speakers. NEVER DISTORT YOUR SOUND and your speakers will never be blown. You need to be gentle on the controls or with sudden spikes and be attentive for single distorting freqs (usually ringing at your speaker freq weak points) on your audio playing. Very nice article!I would like to ask you if there is any diffirence on the speakers that am going to use indoor and outdoor. It’s two things: firstly, sound doesn’t carry as well outdoors (wind can literally carry it away), and secondly the practicalities (weather etc). Things will of course sound profoundly different out of doors as there’s usually little or no reflections. But I’ve never set up PA specifically for outdoor (ie usually I’ve just used what was there), so maybe someone with more experience of outdoor shows could join in the conversation here. Im not an expert Phil, but i thought that by outdoor speakers they just meant the ones that are more robust against the weather, rust etc. and are usually plastic. 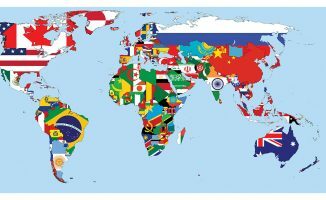 Never thought of the wind issue and could definitely be wrong. What about wooden vs plastic? aren’t wooden always heavier but usually more bassey? Yeah, something I have no experience of – not going to pretend I have! Generally the sturdier the cabinet, the better the sound. for me. outdoor speaker has a harder cone and a higher power capacity to overcome the suroundings. Harder cones are much likely to do longtrow sounds and protection on the weather. Modern woofers used polypropylene on their cone for weather protection and a neodymium magnet for lighter woofer. the finish of the wooden box are different from indoors. mostly the outdoor speaker are lighter for easy installation. Forget to say ensure you budget for decent speaker cases/covers and connecting cables too. Got proper RCF covers for the 312s, which are pricier than generic covers but fit like gloves with key holes/slots so they can stay on speakers when used. Again, I got a purpose made bag for the Ulitimate stands. Re: cables – everyone’s got their fav’s. For now, I’m using Proel Challenger xlr’s. i own a 2nd hand peavey sp4 with a black widow woofers. it was a passive system so i used crest ca6 or ca9 for amplification and it did sounds good. it has a dual 15 inch driver so it also give a good bass. but when the place became larger. im about to get some folded horn to extend low frequency. and i’m about to use a yamaha 15in horn loaded for indoor used. it was a clown of ‘hd115 i think’ but a straight port under the wood horn. Thanks so much for this! Although I have had been successful using two Behringer B215’s for crowds up to 200 people, I have never used a subwoofer and always felt something was missing. 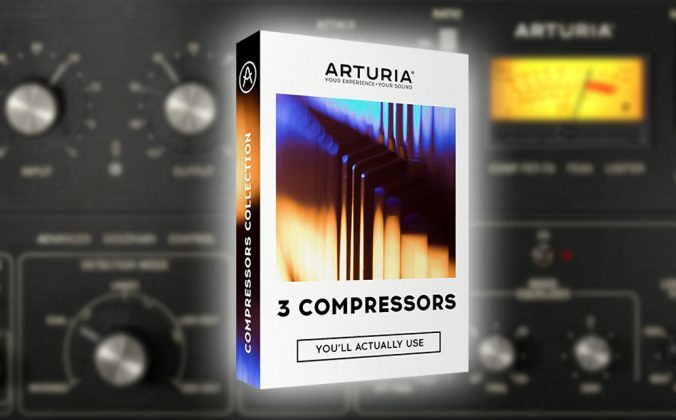 I plan on getting one this month (specifically the Behringer one mentioned in this article). Thanks again! Dear Phil, I have read through your knowledge and understand that there is quite a bit of research to do in setting a good sound system up. I am interested in a few products but see that you have not mentioned anything by Kam! I am currently looking at Kam set up using Kam RZ 15 of which do offer an active version and an unbalanced Kam KBA 1000 watt(Peak)amp. What do reckon to this set up? We haven’t reviewed those items so can’t say unfortunately. PPPS In conclusion I can improve on the 12s without having to get rid of them or overdoing the bass. I can move the power up to 15 or 18″ subs and maintain a good clean mid and hi end. That is my plan at least…may God give me strength. Thanks, Steve. Also I would like to add, regarding the yamaha dxr and dxs active loud speakers: they both have a red light-limiter on the back which indicates if you are putting out too much! Also instead of the speakers of sub blowing, they have a DSP protection for maximum output! In other words they will shut themselves off instead of blowing a speaker! Yamaha has even put out some kind of challenge to DJs, betting they cannot blow a speaker or sub. Pretty cool huh? Hi Phil Just would like to ask i have two db tech active 12″ 600w and a wharfedale 15″ 400w. is that a good match at all? or did i made a mistake???? I have a pear of qsc kw 152 ..I was to buy a pair of subs looking at ev etx 18 . Are they compatible? Or should I stick with qsc kw 181? 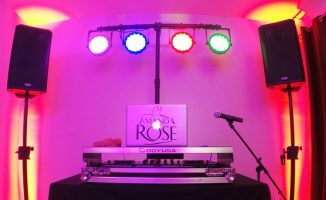 Do you have any current recommendations for a DJ PA system mostly for 150-200 people but that can handle over 250 and/or maybe an outdoor party or dance hall? I have been told that the Newer JBL EON615’s are not as good as the older ones. Maybe the PRX715’s coupled with a PRX718xl sub? I have Yamaha HS8 Monitors and I really like the crisp punchy sound of the Yamaha brand.